On Wednesday October 19th at 8pm (EST) we will disclose a mostly unknown, un-adverstised treatment for MS that has no side effects, no co-pays and can be taken every day, all day with no possibility of addiction. Hmm…that may not be true. Let’s just say that any addictive state can be legally and safely fulfilled. It’s all about finding and using humor to cope… But you knew that didn’t you. I mean… you read the title! Join us at 8pm on Wednesday to hear the accounts of 5 armchair comedians who have MS and can’t cope without it, and two professional stand-up comedians living with MS who make us laugh about it even when they/we can’t stand up. We’ll hear from Jonathan Katz (of Dr. Katz, Professional Therapist fame) and British comedian Jim Sweeney (of The Comedy Store and Whose line is it Anyway, fame.) 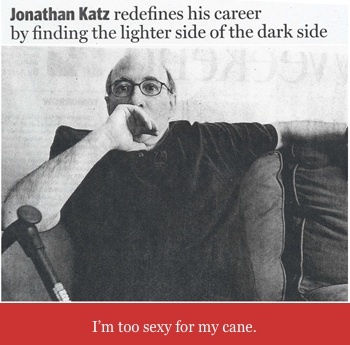 Check out the Jonathan Katz interview with Trevis Gleason on EverydayHealth.com and Jim’s one man show My MS and Me. Both will help you find a spin on the most challenging of MS experiences that will likely have you nodding and laughing throughout. or listen on line at Blog Talk Radio …Oh, and while you’re there… hit that “follow” button, it’s the blue one with the word “follow” on it. This way you will be in the know and impress those of us who can’t remember anything! Are you looking for that show you loved, the one from earlier this year? Click here, and feel free to lather, rinse repeat! 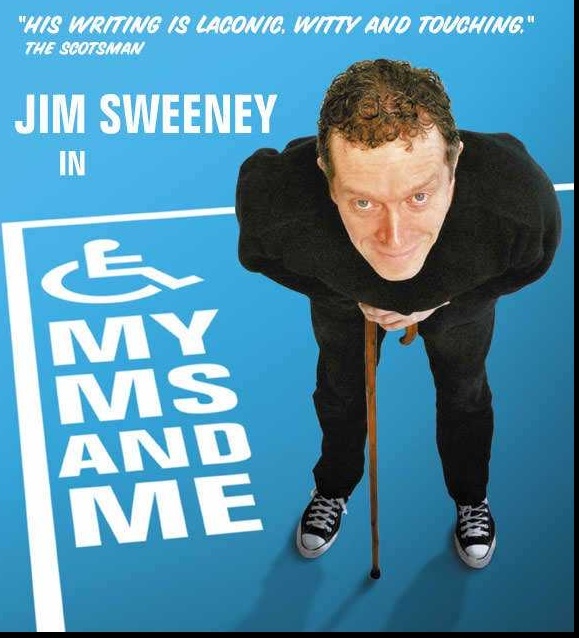 This entry was posted in Coping, Funny, LOL-Day to Day, MSLOL-Radio and tagged comedian with MS, funny, jim sweeney, jonathan katz, katz professional therapist, laughing at MS, Living with MS, ms experiences., stand up comedians. Sounds like a heavy dose of Vitamin L(aughter)! Love it! Yes, I’m looking forward to a double dose! Are you available to call in on Wednesday? We’d love to hear your stories!